Chief Thomas Ereyitomi, A.K.A, Ojogbojor was born, breed and nurtured in the creeks of the Niger-Delta region of Nigeria; which fact makes him an aborigine per excellence. He attended the prestigious Ogidigben Primary School, Ogidigben, Warri South-West Local Government Area of Delta State of Nigeria between 1972 and 1978, where he obtained his Primary School Leaving Certificate. In 1979, he proceeded to Ogidigben Grammar School, Ogidigben where he obtained the West African School Certificate in 1984. As a result of his humble background and the inability of his parents to afford higher education at that material time, he was constrained to fend for himself economically. This he did so well that he earned the name; anokangbeju, meaning “one who is self-made. He worked between 1986 and 1993 as a contractor staff with Chevron Nigeria Limited and served as Chairman, Community Development Committee between 2004 and 2010. Due to his industriousness, he opted to be an employer of labour instead of remaining as an employee. This decision of his led him to establish his own business outfit; known as Tomba Resources Nigeria Limited, a Warri based oil servicing company whose reputation in the oil and gas industry is today unquestionable. 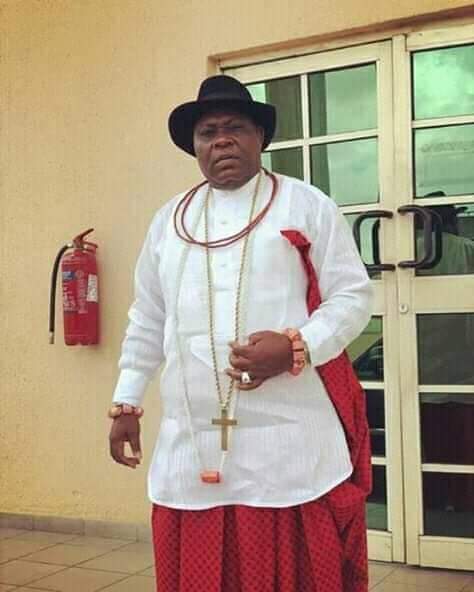 He became Commissioner Representing Itsekiri Ethnic Nationality in Delta State Oil Producing Areas Development Commission (DESOPADEC) between 2015 and 2018 when he resigned to join the 2019 race for the Warri Federal House of Representatives. As a result of his religious faith and views about life, he adopted the philosophy of life which tends towards silent achievements and unannounced impact on human and community life. So committed is Chief Thomas Ereyitomi to this philosophy that most of his achievements have been deliberately unannounced until now. Despite his initial financial challenges, he never lost his thirst for education; as he maintained his cool and proceeded to accomplish relatively much despite his challenges and today holds a Bachelor of Science Degree in Political Science (BSC) and a Masters in Business Administration (MBA) Degree; both of the Delta State University, Abraka, Delta State. Shore wall protection (sand filling and pilling of Ode Itsekiri Community, Warri South Local Government Area of Delta State. Construction of 1 kilometer Concrete Walkway from Ogheye, Utonlila to Oboghoro, Warri North Local Government Area of Delta State. Construction of Concrete Walkway at Ugbege Community, Warri North Local Government Area of Delta State. Construction of Concrete Landing Jetty with 100 Meter Walkway at Oboghoro Community, Warri North Local Government Area of Delta State. Construction of Internal Roads with Drains in Ogbe Layout, Ugbuwangue Community, Warri South Local Government Area of Delta State. Canalization/Clearing of Ogidigben Sea Shore in Warri South-West Local Government Area of Delta State. Construction of Concrete Landing Jetty with 100 Meter Walkway at Usor Community, Warri North Local Government Area of Delta State. Construction Of Concrete Landing Jetty (Plus Dredging Of Access Creek) at Ajigba Community, Warri South Local Government Area of Delta State. Construction of 50 meters reinforced concrete pedestrian bridge linking Utonlila to Oboghoro in Warri North Local Government Area of Delta State. Construction of Ultra-Modern Civic Centre at Bateren Community, Warri South-West Local Government Area among others. It is a well-known social development fact that government alone cannot satisfy all developmental needs of the people; especially in the era in which Chief Thomas Ereyitomi served in DESOPADEC which was characterized by paucity of funds arising from the recession experienced across Nigeria. Notwithstanding this huge constraint, Chief Thomas in his routine manner provided from his own private purse, grants for small and medium scale entrepreneurs, financial supports and assistance to indigent students, other kinds of welfare packages, many of whose beneficiaries are out there and can testify to these. The Chief does not believe in enlisting the particulars of these gestures based on his religious faith.